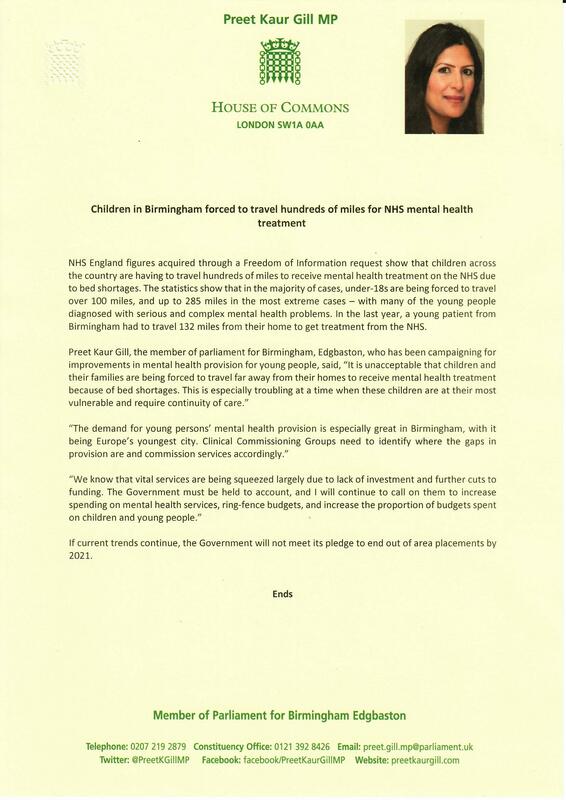 NHS England figures acquired through a Freedom of Information request show that children across the country are having to travel hundreds of miles to receive mental health treatment on the NHS due to bed shortages. The statistics show that in the majority of cases, under-18s are being forced to travel over 100 miles, and up to 285 miles in the most extreme cases – with many of the young people diagnosed with serious and complex mental health problems. In the last year, a young patient from Birmingham had to travel 132 miles from their home to get treatment from the NHS. If current trends continue, the Government will not meet its pledge to end out of area placements by 2021.